Summer is reunion time for many people. I recently had two of them back-to-back. These are always great times to catch up with family and break bread together. The problem is that there is often too much bread – and pizza, burgers, hot dogs, sausages. 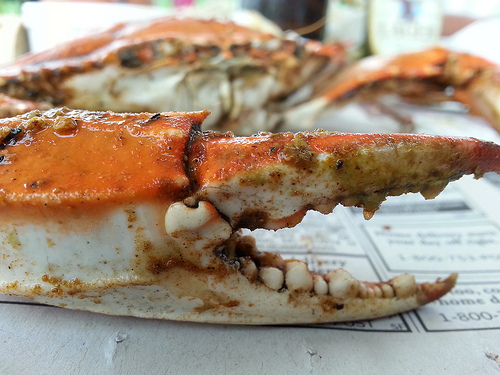 We also had crabs this year which was great…but alas, more of the same. After one of these weekends of mild indulgence I feel slower and a little bloated. I feel sludgy inside and just blah. It happens after bouts of gluttony and sitting around with momentary jumps into the pool. After every reunion weekend I have started to “cleanse.” Basically, this means I cut way back on meat, cheese, and bread to get my system back into gear and to restore some depleted vitamins. Modern vehicles can be ruined with leaded gas. Don’t we kind of do that when we eat all of these carb-loaded, processed, fatty foods and sugar-infested drinks? Sometimes I take less care of what I put into my body than what I put into my car. I’ve taken to juicing. It is a quick way for me literally to get my system moving. I feel fresher after about the first day. It means I use a lot of produce and drink a lot of water. But hey, at least 50% of a diet should be made of fruits and veggies anyway. Does this really cleanse? I am not sure. But it’s a pretty damn good placebo effect with no downsides to health as I see it. I will also hit the bike trails more. After my second family reunion this year I did a 38 mile ride in the rain. It was great. I had never gone that distance in one swoop and I did it early in the morning. I also went for 4 hikes in the central PA mountains. When I exercise more, I also eat less because I don’t eat from stress – a favorite coping mechanism since I stopped drinking. In two days after feeling like I loaded my system with toxic waste I feel refreshed and renewed. There is no magic here. I just chose to give myself a healthy reboot of fruits, veggies, and exercise. When I stick to this simple plan I feel more alert, I’m happier, I sleep better, and my pants feel a little better on my waist. When I don’t, I feel like eating more popcorn and chocolate; and watching more movies to nurture my declining self-esteem and desire for napping. What do you do to reboot the system after a few days of unfettered indulgence?